Yesterday, The Apple Store went down for a short while. What was the big news? 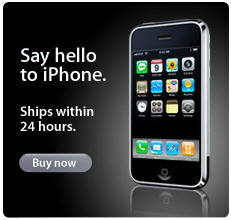 Apple is now shipping the iPhone within 24 hours. So if you haven’t gotten yours already, the wait will be even shorter.